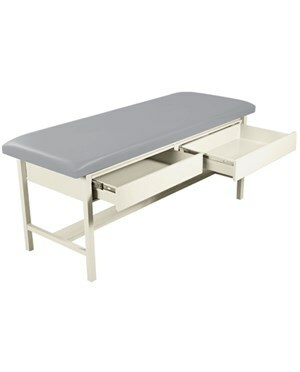 The UMF H-Brace Treatment Table with drawers is a highly-durable piece of furniture made with the highest-quality materials for patient ease and comfort. Robust and Greatly Designed. Manufactured with an all-steel and solid construction, the UMF H-Brace Treatment Table is made to withstand constant and rigorous use. 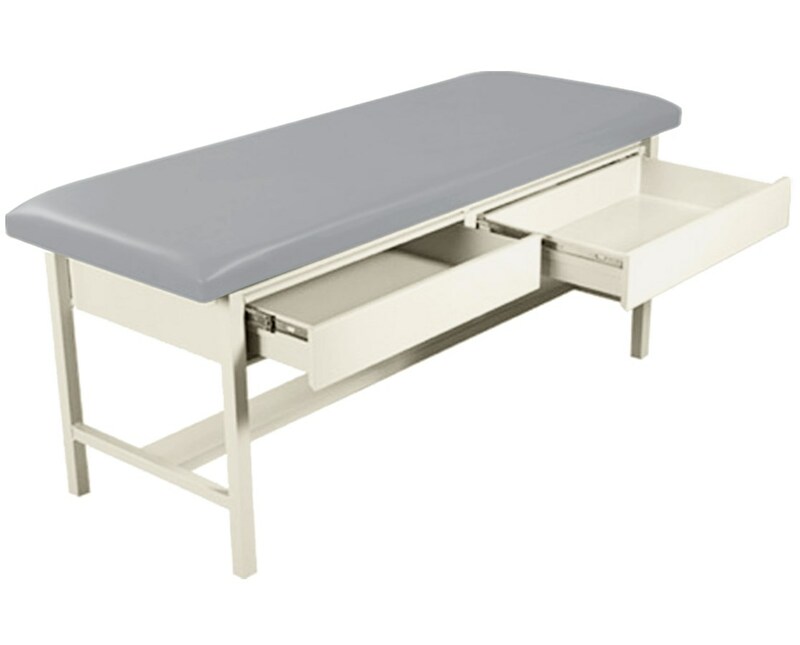 Designed with a seamless top, the Table's Cushion is vacuum formed which makes it easy-to-clean and prevents cross-contamination between patients. The table is 70" L x 26.5" W x 31.5" H in size, has a weight capacity of 350 lbs, drawers sizes of 16" L x 27” W x 4.2” H, a 5 Year Limited Warranty, and a choice of 8 upholstery colors. UMF Medical Ultra Comfort Seamless Top. 350 pound (158.8kg) patient weight capacity.